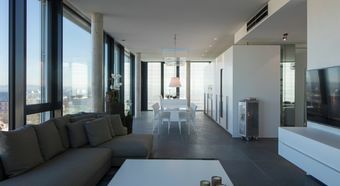 The exclusively equipped penthouse is located in one of the two Park Towers in the south of Karlsruhe. 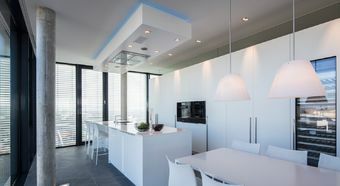 The twelve-storey Park Towers are part of a development concept that adjoins the banking district of the city and consists of ParkOffice, ParkArkaden, ParkPlaza and the City-Park. 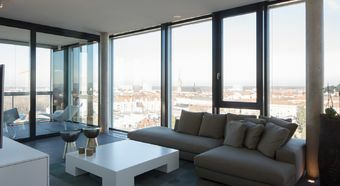 The unique, light-flooded loft has an open, generous floor plan with a room height of 3 m. The floor-to-ceiling all-round glazing provides a spectacular, permanently unobstructed view over the fan-shaped city. 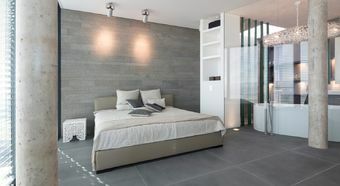 The exclusive interior architecture is characterised by the combination of materials such as volcanic stone, black granite, glass tiles, Corian and artificial fillings, and, due to the architect's designed installations, including a large purist kitchen, which has been inserted into the floor plan like a backdrop. 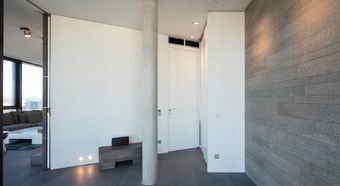 In the living area, a FireLine has been installed in the floor instead of a classic fireplace. 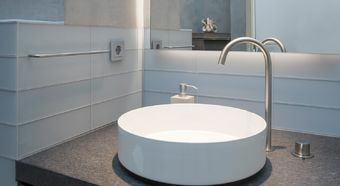 The master bedroom has an en-suite bathroom with free-standing bathtub and large walk-in shower. 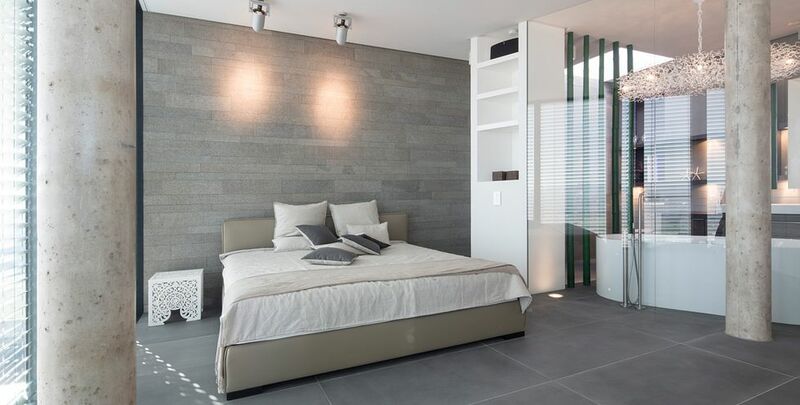 The room-high glazing for the bedroom also allows a view over the city from this area. 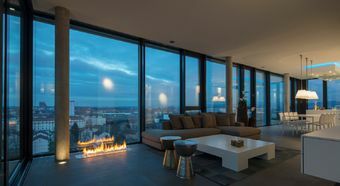 In addition to the architectural highlights, the penthouse also has future-proof sustainable building technology: lighting, heating and cooling of floors, air conditioning, blinds and the FireLine can be easily controlled using the JUNG F 40 push button sensors and a tablet or smartphone. 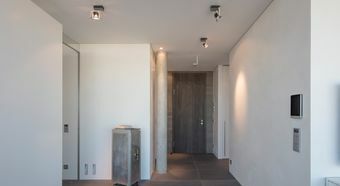 LS ZERO Zeitlos, reduziert, konsequent: Mit LS ZERO erreicht Gestaltung eine einzigartige architektonische Qualität. Zwischen Möbel und Bedienelement entsteht ein fließender Übergang – Einrichtungskonzepte bekommen eine stringente gestalterische Aussage. Im zeitlosen Design des JUNG Klassikers LS 990.